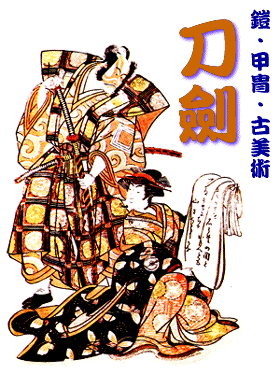 This is the largest Japanese sword web site in Japan. This Japanese site is written in English and Japanese . But we are willing to response any kind of language ! From any nationality, profession, age, dealers and collectors. for each other. Joint us now ! and have fun together ! >GO TO JAPANESE HOME PAGE[All-CONTENTS] thanks to All TOYU!